Salute the good people at FX: Not content to rest on their multichannel, schizophrenic laurels, they’ve now gone and tacked a few possible future gems onto the production schedule. As THR reports, the network has convinced noted crackpot visionary Charlie Kaufman to embrace the small screen. His show is called How & Why, and it stars John Hawkes as Goodman Hesselman, “a man who can explain how and why a nuclear reactor works but is otherwise clueless about life.” Hesselman hosts a program, also called How & Why, but “after losing his passion for the show [he’s] replaced by a younger host and relocates to a different town to start a similar show with significantly less stature.” Michael Cera costars as Hesselman’s new boss, Mendelson. This is actually a return to the medium for Kaufman, who started out on stuff like Get a Life, Ned & Stacey, and The Dana Carvey Show before passing his prophecies on to Michel Gondry and Spike Jonze. The difference, of course, is that now he’s not just another voice in a sitcom’s writers’ room, but actually in full control. Depending on how you feel about 2008’s Synecdoche, New York — Kaufman’s sweeping, baffling directorial effort — this is either a very good thing or a very bad thing. I say good thing! Even the direst of Synechdoche detractors would have to agree that there’s a certain strand of anarchic brain melting only Kaufman can provide. 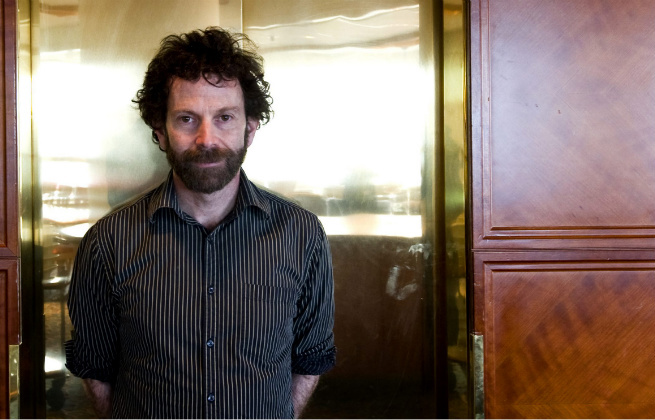 Simply enough: It’s been five years since we’ve had any Charlie Kaufman in our lives (not counting his punch-up work on Kung Fu Panda 2, of course), and, frankly, we need some Charlie Kaufman in our lives. (Plus, now that Spike’s writing his own material, what’s Charlie supposed to do, anyway?) Also: Cera, as he reminded us with This Is the End, is great in limited quantity; and Hawkes, who crushes whether he’s playing creepy cult leaders or Dustin Powers, has certainly earned his own show by now. But that’s not all! FX has also announced a new project teaming Zach Galifianakis with its franchise star, Louis C.K. The show was created by Galifianakis, and will be cowritten by C.K., who’s also executive producing; it’s the first sale from C.K.’s Pig Newton production banner under his new deal with FX. (No details on plot or casting as of now.) To those of you wondering how exactly Galifianakis could get us excited about his career again following the soul-crushing malaise of the latter-day Hangovers: Here is your answer! In conclusion: Congrats, FX, you just won Tuesday.